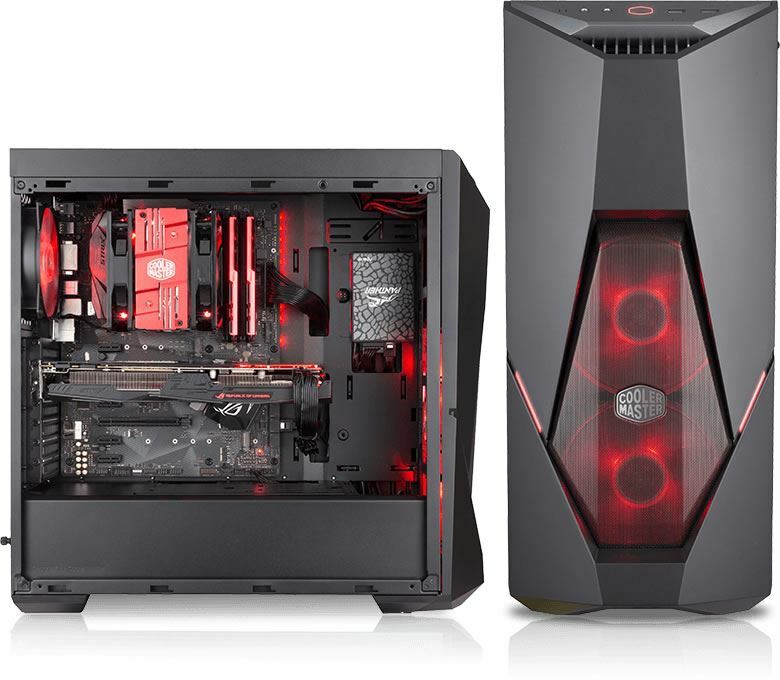 The pre-installed red LED Fans and red lighting make a sleek and aggressive feeling, Come to show off your gaming build with MasterBox K500L. 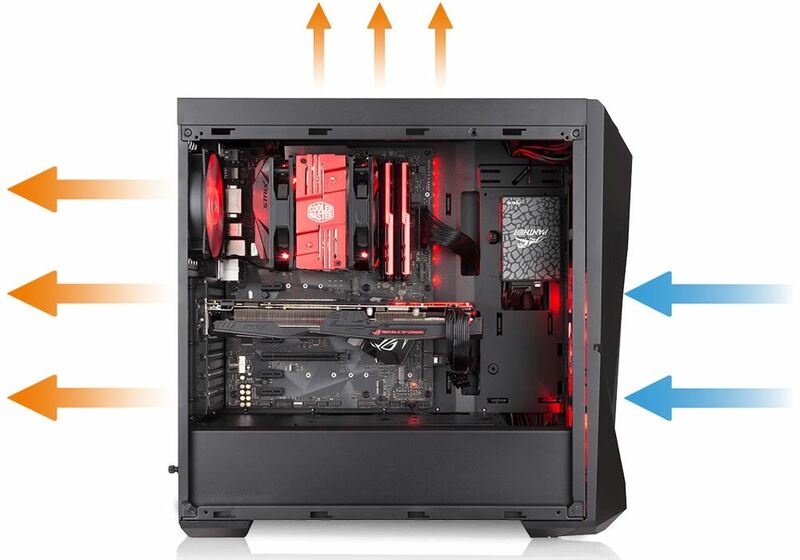 The front supports up to three 120mm or two 140mm fans and up to a 280mm radiator. 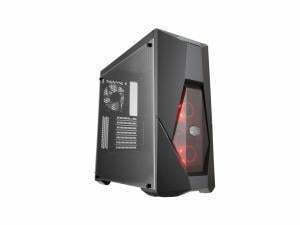 The Rear supports a 120mm fan or radiator. 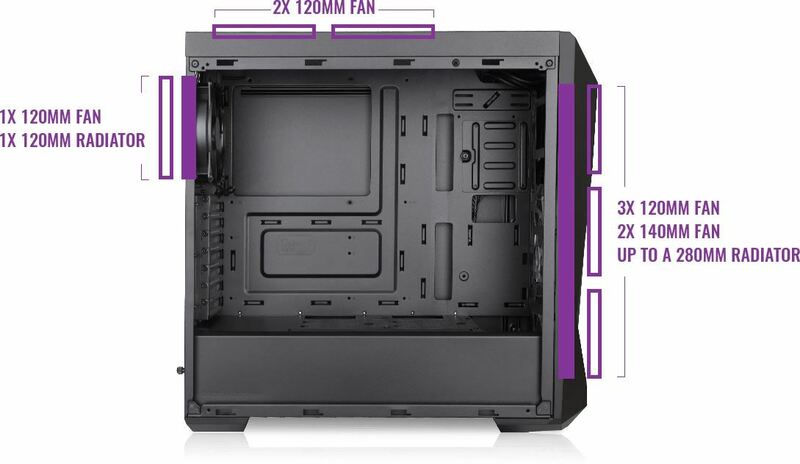 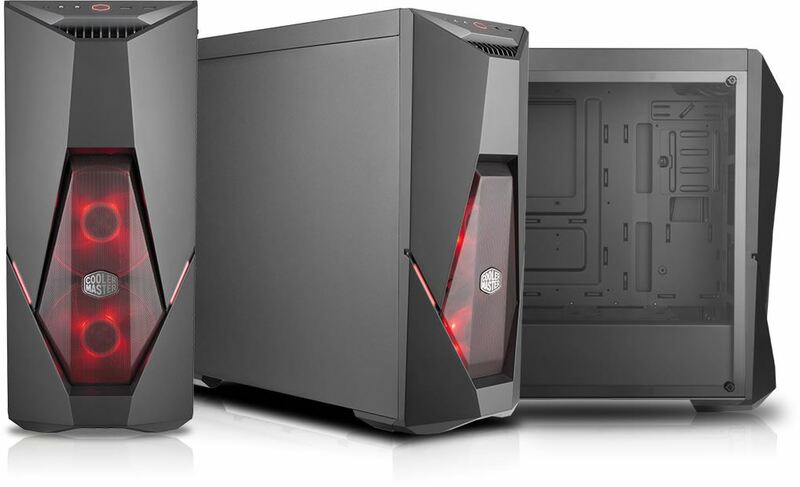 It comes with two pre-installed 120mm LED fan in the front and a single 120mm fan in the rear. 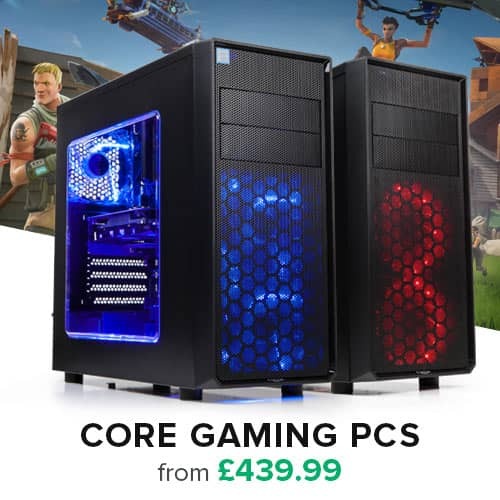 All to ensure you don't have to compromise on performance. 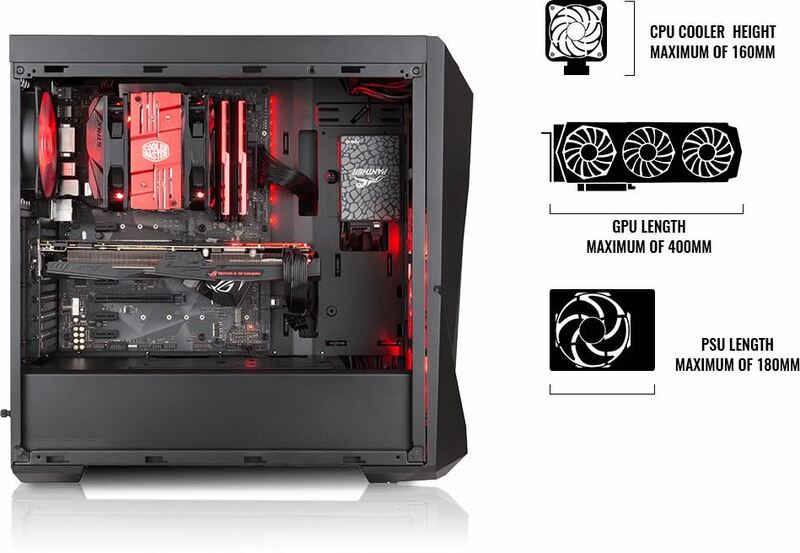 The MasterBox K500L supports CPU-Coolers up to a height of 160mm, Graphic Cards up to a length of 400mm, and Power Supplies up to a length of 180mm.